Psychic Tennyson Grimm is reluctant to meet with the convicted murderer who’s placed his faith in Ten’s gift. 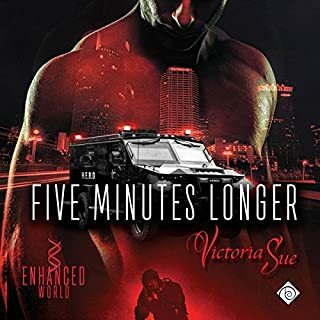 When Tennyson realizes Tank is innocent of the crime for which he’s serving 25 to life, he knows that he and Ronan have to do whatever it takes to set things right. Ronan and Tennyson are married now, and they feel like their "future daughter" is closer than ever. A convicted killer contacts Ronan, asking for the couple's help in proving his innocence. Could his identical twin be the real killer, and if so, how will our heroes prove that? This man brings someone into Ten and Ronan's life who is going to be very important to them. Until I listened to this, I had forgotten what a jerk Jude Byrne was when we first met him. It made me laugh to listen to him being all surly and suspicious. Greeley is amazing in this book. He is so patient and kind with Ten's mother, and he gently encourages her to open her mind and her heart. I love the relationship between those two. The narration is great here, and while all the characters sound distinct and terrific, I especially love the voices of Ronan and Kevin. This series is one that I love and already go back to, to find enjoyment over and over. Excellent storytelling with characters I adore, and a top-notch performance. Nothing could be better. I am still in love with this dynamic duo. I adore this series, the cast of characters, the cases, and of course the future little miss! We now have a new character, Jude, who is definitely intriguing and I look forward to seeing more of him. I really enjoy the banter between the characters, the family aspect and most of all how Ronan has changed into the most romantic man ever. He’s just a goner for Ten and I wouldn’t have it any other way. The case was interesting as usual,and I really love how this world is adding new characters with each and every book. So what can I say about Michael Pauley? Hmmm, only that no one else can ever narrate this series! How he chose to portray Ronan and Ten is just absolutely pure gold. I could wait a year and come back to listen and still know who each character is, he has such great distinction between them all. And I adore Ten’s little snorts. This isn’t narration, this is voice acting in all it’s glory. All in all, I absolutely recommend this book and series. It needs to be read or listened to in order. It’s definitely worth the investment. This is a series that I will listen to over and over again. After returning from their honeymoon, Ronan & Ten receive a letter from Tank Hutchins. Convicted of murder, Tank has reached out, convinced that they can help him show that he is innocent of the crime and asks to help him prove his brother is real murder. Will they be able to find the one piece of evidence needed to help overturn Tank's conviction? 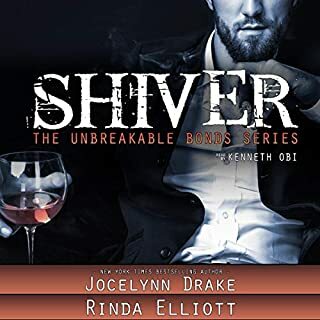 This book is a wonderful continuation of the series! This author has created a world where family is not only your relatives but those who you choose. In addition, because the characters are reoccurring in several books of the series, you are able to see them grow closer, gain some new friends (this time a new PI named Jude), and see them throughout a variety of situations which makes you feel like you know them! The performance/narration is wonderfully done! Its so fun to hear your favorite stories come to life and this is no different! Wonderful read all around! Brilliant book with amazing narration!! 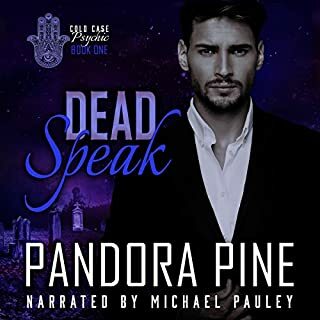 This series is fabulous and Michael Pauley does an incredible job of narrating it - he’s a must listen for me! Ronan and Tenn are now happily married with their chosen family surrounding and supporting them. 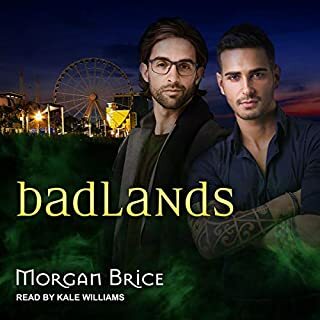 Both the MC’s and secondary characters are loveable and well written and as always with Pandora Pine the wit, humour and amazing dialogue is a constant between the characters. On top of all that there’s a fantastic storyline. This story isn’t a cold case which is a huge change in this series, but instead is a case of mistaken imprisonment with a man in prison suspecting it was in fact his twin that committed the crimes. It’s a thrilling and action packed ride as always and is a fantastic listen. Great story, great narration, definitely a must read. I can’t wait to listen to more of this series. 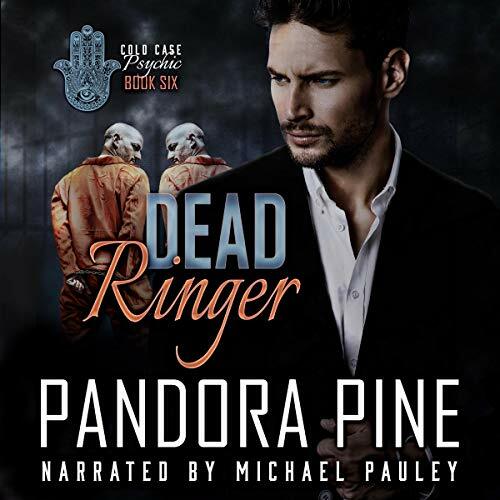 I really like Michael Pauley’s narration of the Cold Case Files. He brings each person to life. Imbuing each character with a recognizable voice. 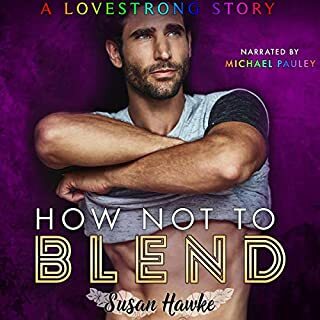 Ten and Ronan haven’t even settled into their newly married life when Ronan receives a letter from a convicted killer, saying he’s innocent and wanting Ten’s help to prove it. Ten is reluctant but once Ronan tells him he thinks the man is innocent Ten is on board. The psychic story wasn’t as strong as the others in the series. The case was in the background but never felt as compelling. What came through the strongest for me was the total sense of family encompassing the whole book. The introduction of Jude was wonderful. Him and Ronan’s interactions were priceless. I can see them becoming the best frenemies ever. Very nice addition to the series. This series keeps getting better. I was very skeptical in the beginning because I've never really seen/read the trope done very well, especially when trying to make the psychic relatable. Add in Michael Pauley's flawless voice acting, and I'm hooked. Tennyson and Ronan are amazing, and the books leave me very curious about a certain new character that's been introduced. Though this wasn’t as emotional as some of the past books I’ve read or listened to in this series, I was still kept on the edge of my seat. This who-done it mystery of identical brothers had me engulfed in anticipation wanting to know the outcome. And what an outcome. I totally didn’t see this one coming and I loved that it surprised me so much. I enjoyed that the whole gang was once again in the story, but that it revolved more around Tennyson and Ronan really was nice. The two work so well together even if they don’t always see eye to eye. I’m still waiting for Greely to get his own story. Love that kid! Michael Pauley does another wonderful job with portraying each character individually. I couldn’t imagine him not narrating these stories. He truly has an amazingly talented voice. Michael Pauley’s narration is spot on. His characterisation along with the excellent writing helps me conjure up images of all of the characters making it a joy to listen to.